are you a writer currently living ON PEI OR IN the maritimes? If so, you may be eligible to apply for our One Life Writing retreat scholarship to attend the 2019 Write by the Sea retreat. This scholarship is part of our commitment to ensuring that the benefits of writing practise, mentorship, and community are available to all. 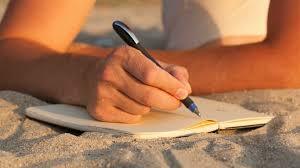 The scholarship is available for one Island or Maritime writer who may not otherwise be able to attend the retreat. Writers currently living on PEI or in the Maritime provinces are encouraged to apply before the April 15, 2019 deadline. Special consideration will be given to writers who identify as LGBTQ+, Indigenous, disabled, or as a person of colour. All applicants will be notified of the results by the end of April. Please note that the retreat scholarship covers full retreat programming costs for the retreat. The scholarship recipient will still be responsible for travel and accommodation costs (if applicable).